The racial wealth gap in America limits economic mobility and endangers the financial stability of our country. Systematic oppression and discrimination have led to a typical white household in the United States currently maintaining 10 times more wealth than a typical African American household and almost nine times more wealth than a typical Hispanic household. These disparities exist at every income and educational level and have real consequences for working families. Over time, this reality has provided white families with greater financial security, as well as expanded opportunities for educational and economic advancement. Congress is currently debating a proposal that would make this persistent problem even worse: a complete repeal of the federal estate tax, which taxes a portion of the assets left behind by the wealthiest 0.2 percent of Americans. Here are four ways repealing the estate tax would further entrench the racial wealth gap in the United States. The estate tax already exempts estates worth less than $5.6 million, or $11.2 million for married couples. Repealing the estate tax would only benefit those with an even higher net worth, the very wealthiest families in America—a group that is overwhelmingly white. A Center for American Progress analysis using 2016 Survey of Consumer Finances data found that while just 6 out of every 10 U.S. households are white, 9 out of every 10 U.S. households with a net worth above the estate tax threshold are white. As a result, extremely wealthy white families would reap almost the entire benefit of a full repeal of the estate tax. Republican representatives’ gift to wealthy heirs—phasing out and eventually repealing the estate tax—would cost the federal government $151 billion over ten years. 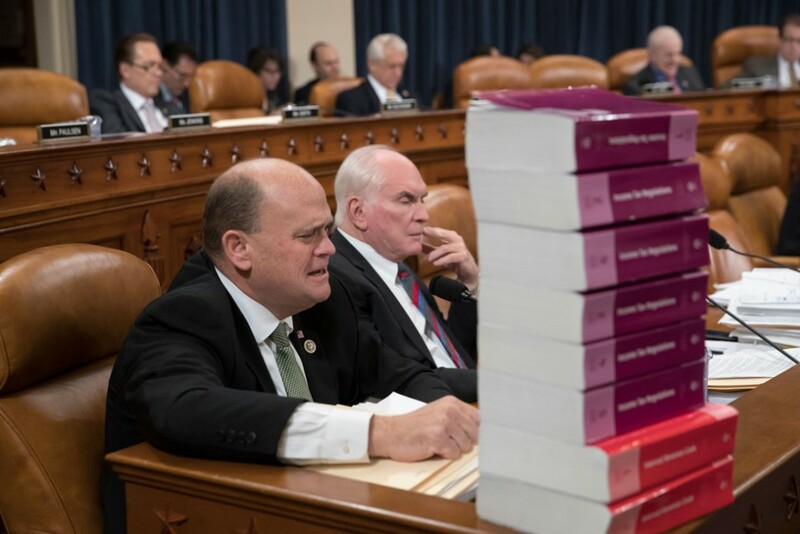 To help pay for this proposal, the House majority’s bill would increase taxes for 13 percent of families in the lowest income quintile, 24 percent of those in the second quintile, and 30 percent of families in the middle quintile. Forcing working families, a disproportionately diverse population, to help pay for the estate tax repeal would limit upward mobility while further enriching the wealthiest 0.2 percent of households. The Congressional Budget Office estimates that the entire House tax proposal would add $1.7 trillion to the national debt, including the cost of additional interest on the debt. This would put pressure on Republican members of Congress to follow through with President Donald Trump’s proposal to slash and eliminate programs and agencies that expand wealth-building opportunities for people of color and protect them against discrimination. Current law allows households to reduce the taxable value of their estates—and therefore the amount of tax that their estates will owe—through charitable donations. But according to a new Center for American Progress analysis, repealing the estate tax would reduce annual charitable bequests by $7.8 billion in 2024, or more than the combined total giving of the ten largest foundations in the United States in 2014. Discouraging charitable giving would devastate the nonprofit community, including dozens of organizations that rely on these funds to advocate for and empower people of color. Repealing or scaling back the estate tax will have a devastating effect on the racial wealth gap. And it is just one way that the congressional Republican tax plans would increase economic inequality in America. Beyond the fact that wealthy white families would reap almost the entire benefit, it would be paid for by tax hikes and service cuts for working Americans. If passed, the repeal would discourage charitable giving to impactful organizations, while limiting opportunities for upward mobility. Instead of giving a $151 billion gift to wealthy heirs, Congress should find ways to make taxes more progressive and use that revenue to help all American families gain financial security and economic opportunity.